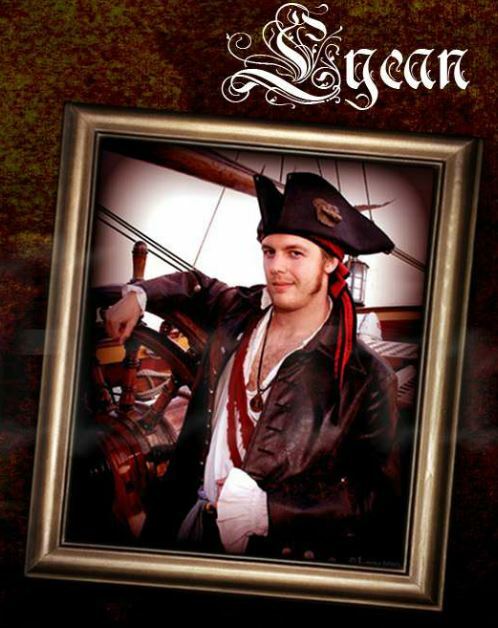 Lycan be my name, that’s Captain Lycan to you mugs for the extent of this issue. As luck of the draw ( and a few bribes) would have it, I be captain of Issue #2, so welcome aboard of Mutiny Magazine. The crew and I would like to thank everyone, both sea fairing folk and land lubbers alike for their support & interest in our E-magazine. The first issue was an exciting ride, with many positive accounts and generous attention from everyone.I must say with this second issue we have stretched the limits and then some. We are at full sale now and are bursting at the seams with piratical content. So I raise me tankard to all who have enjoyed our work, and to those swabs t’were hoping we’d be sinking; “shove off!” for there be no stopping Mutiny Magazine now! Mutiny ship’s hold are a selection of events, craftsmen and raw pirate history, the better to splinter yer timbers on! An exclusive report on the Flynn foundation’s Swashbuckling Bone Hunter of Cambodia. Now with the change of hands at the wheel, don’t ye all be fretting, about what came of Talderoy, the last captain of this here magazine. We always have a place for a good hand on deck. After all, the decks still need swabbin. HA! !